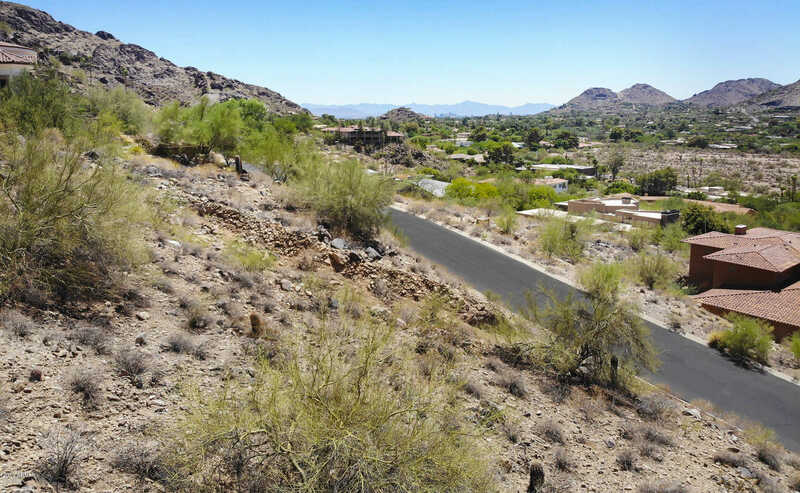 Spectacular Paradise Valley view lot surrounded by Mummy Mountain Preserve and located on west slope of Mummy Mountain. Panoramic Views to Camelback Mountain, Phoenix Mountain Preserve and dramatic city light views. Great site for building your dream home. Private neighborhood with multi-million dollar homes.